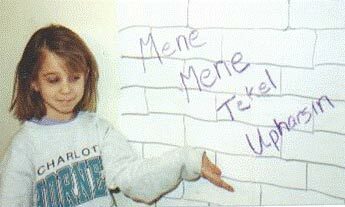 This is Ashley displaying the “handwriting on the wall” found in the story of Daniel and Belshazzar. We left the sign up in our dining room for a few weeks. It made a great conversation piece.